How do you get your organization to function effortlessly? How do you become a better leader? How do you influence others to work together productively? How do you foster an atmosphere and environment that nurtures growth? How do you navigate stressful situations? How do you have the impact you want to have? The obstacles leaders face are numerous; we have a surprising solution. We combine the wisdom of the mind and heart into a harmonious synergy and resolution happens. four-day seminar – Be Whole, Be Sound – to establish a highly cooperative and productive workplace. 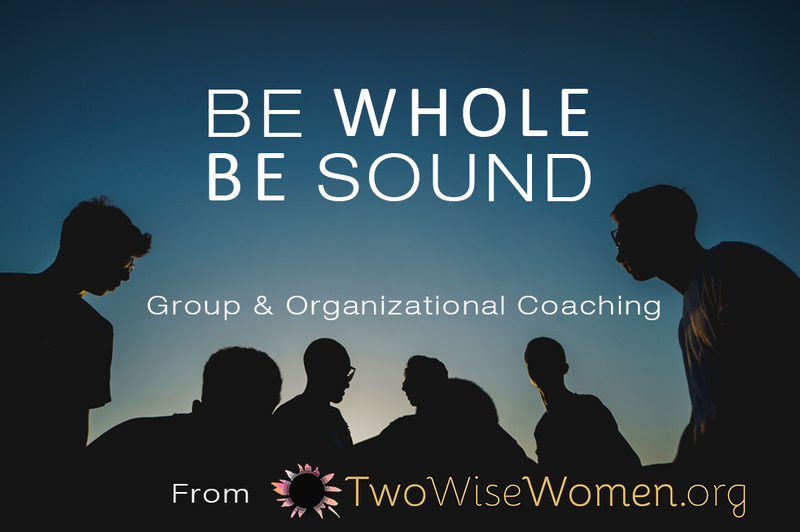 In Be Whole, Be Sound we integrate our game-changing perspectives with leadership coach-training. Jointly, these proficiencies create a practical framework that transforms seemingly intractable problems. Powerful principles and coaching contexts are interwoven together in the seminar to significantly increase each leader’s capacity. This pairing strengthens participants’ understanding and skill to identify the root of obstacles, implement specific changes and positively influence the organization. The resultant collaboration and dynamic teamwork generate cohesiveness, innovation and continued growth and success. Morning: Being Stuck vs. Creating ChangeAfternoon: Unpacking the Addiction We All Share – Why am I the one who needs to change? Peeling the Onion – Am I the sort of person in whose presence others can grow? A day may be added to sessions A or B, depending on the needs of the organization.